Every time I attend one of my daughter’s dance performances, I see this mom who looks like she’s in a constant state of panic. She leans forward in the front row watching every step and studying every move. The criticism is all well-meaning. She’s being nice and I can see that all she wants is for her daughter to improve. Her daughter retorts with an “OK mom, OK” and walks off. I watch this and honestly, I wonder if I’m doing my job right as a parent. Will my own daughter progress if I don’t give her this constant feedback after performances? I see all these things in her too. I can see how she could smile bigger or point her leg a bit straighter. You know, all those things I see the judges say in “So You Think You Can Dance” and “World of Dance.” I watch those. I’ve picked stuff up. Obviously, I can use that to make my daughter a better dancer. Constantly critiquing our kids in sports, dance, or other extracurricular activities creates this feeling of pressure. We as parents feel the constant pressure as well. 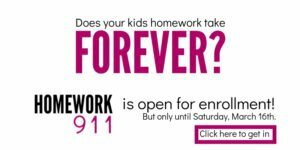 Psychologist Wendy Grolnick calls it the Pressured Parent Phenomenon. The need to keep our kids safe is biologically encoded in us. We can’t rest until our kids have mastered that dance, won that competition or helped their team win a game. But the problem is that this pressure alienates our kids from us. In her book, The Gift of Failure: How the Best Parents Learn to Let Go So Their Children Can Succeed, educator Jessica Lahey describes how many kids’ least favorite part of playing sports or engaging in extracurricular activities is the car ride home with their parents. Not because they don’t like their parents, they do. 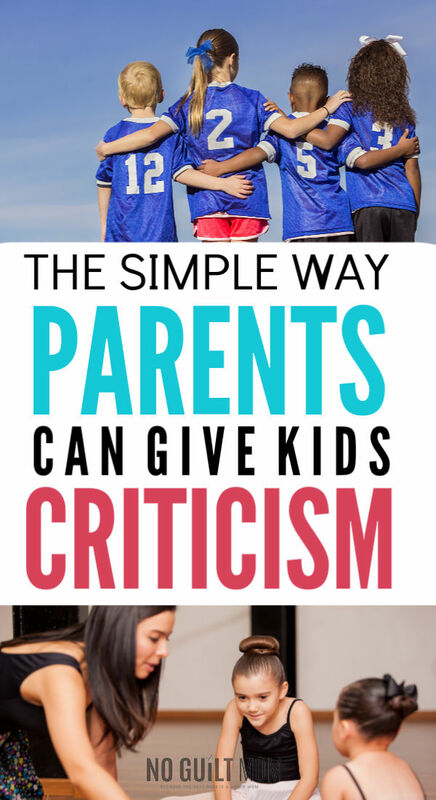 Rather, these parents take the ride to criticize coaches, dissect performance and offer well-meaning advice. It’s not relaxing… it’s high stakes. How can we give constructive criticism? This doesn’t mean that we can never talk to our kids about their performance. But, if we want our feedback to have the greatest impact, we need to follow a few guidelines. let the professionals we paid to coach our child do their jobs. When we look at parenting styles there are two main discipline styles that stand out. The controlling parent who values conformity and obedience. These kind of parents solve their kids problems for them and take the lead in all situations. On the other hand, autonomy supportive parents encourage kids to solve their own problem, take the child’s perspective and minimize the use of pressure and controls. Most research shows the positive effects of autonomy supportive parenting and the negative effects of the controlling parent. We want to promote autonomy. One way you can do this is to encourage self reflection. Me: What are you working on in dance right now? Daughter: I’m trying to do a handstand. Me: How do you think you can improve on it? Daughter: I’m watching a lot of YouTube videos and practicing on the couch. This question places all the responsibility back on her to either seek advice on how to improve or be content with her level of performance. If it doesn’t seem like your child takes you seriously at first, let it simmer. Kids need time to let a suggestion or question sink in before knowing exactly how to respond. My daughter tries to brush me off as a defense mechanism. She’s a perfectionist and takes criticism hard. Because usually, after a day or 2, she will come to me with an idea she has to improve her handstands. Honestly, it’s better than any of my ideas. Since she came up with it, she’s more likely to follow through as well. Before you criticize kid’s performance, think of letting a coach deliver the critcism instead – in their own time. To further fuel kids growth, encourage self reflection. Usually kids will pinpoint the areas they need to work on – and do so gladly – much better than we can. And as a happy side effect, you’ll be encouraging autonomy which will help them so much in the long run.